Last month, The Department for Transport published an extensive set of comparison tables of road safety data from all of the English Local Authorities. http://road-collisions.dft.gov.uk There are hours of fun to be had clicking around the regions, looking for surprises and trying to make sense of it all. Tables can be created dynamically on line and downloaded as comma-separated variable (csv) files. What I have done is focus on Bristol, where I live, walk and cycle. I chose to move to Bristol from Leeds a couple of years ago, partly because I don’t have and don’t want a car. Bristol is a compact city with less than half a million people, and walking and cycling are the most effective ways of getting about for most of my journeys. When I see people trying to use cars for similar trips I sometimes wonder why they bother. I suspect some of them ponder the same question. Maybe safety and security are part of the story? What follows compares Bristol with Leeds, and the other core cities outside London and with two county authorities bordering on Bristol. I hope that I can make some sense of the comparisons, and say something about the way that comparative data ask more questions than they answer. Look at Figure 1 for example. Note that Bristol is sown in bright red. I have left London out of this because London is so much bigger and because London has a completely different set of problems with very different structures. As far as mileage goes Bristol is a tiddler. Only Newcastle and Nottingham have less. There’s a question right from the start. Wasn’t Bristol the place where they made Concorde? Surely it must be huge? Maybe it should be? The elected Mayor George Ferguson probably wishes it was. But the fact is that Concorde was made in South Gloucester and at least some of the people who worked on it lived in North Somerset. Commuter village Backwell in North Somerset is only 15 miles by road (mostly Highways Agency roads) from Filton Airport in South Gloucester. To all intents and purposes there are both part of Bristol, in the same way that Bramhope and Rothwell (though different) are both parts of Leeds. Another view of road mileage can be seen in Figure 2, which shows how many yards of local authority road there are per person. The nature of South Gloucester and North Somerset looks clearer. They are both large in area relative to their population. Bristol is less like them and more like the other core cities. Only Birmingham looks odd, given its population. Major trunk roads and motorways account for more proportionately of Birmingham’s road network, and those roads are managed by the Highways Agency. Figure 3 moves on to the heart of the question about safety. The measure is “KSI” (people killed or seriously injured). KSI is the brutal statistic for assessing the consequences of badly managed or carelessly used roads. The bars of Figure 3 are Cyclist KSIs on the roads of each Local Authority, per 100,000 people in the Authority, for the year 2011. In each case the “seriously injured” considerably outnumber the fatalities. As I used to ask my A Level Sociology students: “What stands out in this graph?” The choice of colour emphasises Bristol’s figures of course but only Nottingham comes close to it in scale. Bristol’s neighbours in South Gloucester and North Somerset have numbers that are a quarter of those experienced just up the road. The scales are different, so don’t be mislead into thinking pedestrians are better off (except in Liverpool and South Gloucester). What shows up in Figure 4 is that Bristol’s comparatively bad record for cycling KSIs is not matched for pedestrians.. The question arising here is why does Bristol look so bad for cycle casualties compared to the pedestrian result? What about car occupants? Some answers on that score are shown in Figure 5 below. More questions! Bristol is now outstripped by all the core cities. Even the North Somerset numbers for car occupant casualties are worse than Bristol’s. What is going on? Do people do more travelling in some places than others? Figure 6 shows the average number of miles travelled by road per day per person. The suggestion from Figure 6 is that journey distance isn’t a factor either. A blogger worth her readership would, at this point ask “Have I made a mistake?” The quick answer would be visible in the source (in this case, the DfT Comparison data from which the graphs were drawn). Table 1 is a copy of the relevant figures for the years 2005 to 2011. It’s clear enough. 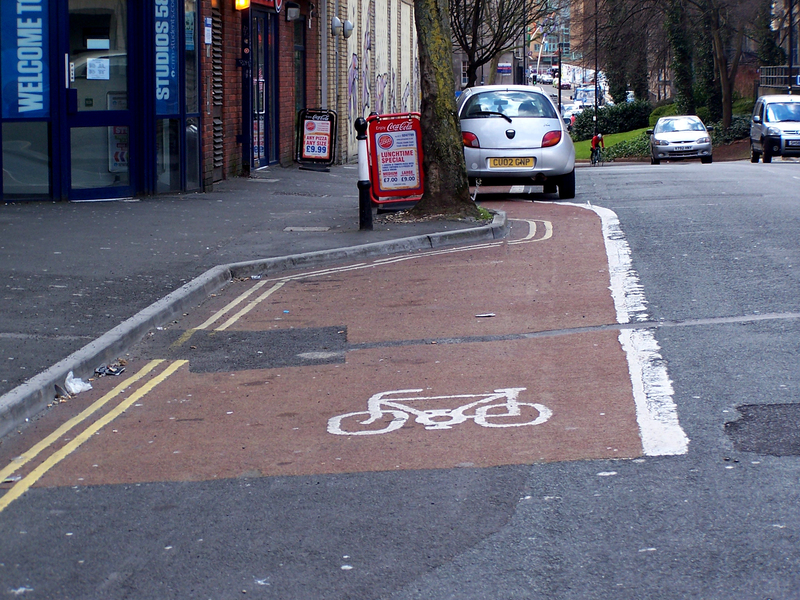 Nottingham and Bristol have had more than their fair share of serious and fatal cycling casualties over six years, and both have been returning data that suggest a turn for the worse. We do know (see ) that the year 2011-2012 saw Bristol’s toll of KSIs down to 41, with no fatalities among them. The big question we are left with is “Why have the figures got so much worse in Bristol since 2005? Answers might be found in the ways that data are collected, recorded and analysed but I suspect that they are more likely to be provided in practical professional efforts to observe and improve the basic infrastructure and management of Bristol’s roads. There are plenty of examples of cycling provision (or lack of provision) that run counter to Department for Transport guidance (see LTN 2/08 Cycle Infrastructure Design downloadable from https://www.gov.uk/government/publications/local-transport-notes ) and there are plenty of places that have been identified as in need of improvement in the next few years. New facilities as they go in will need to have a more robust cycle safety audit. One more graph might be of interest. It compares the sums of money spent by each of the ten Highways Authorities on road safety measures in 2011. I would be pleased to hear more questions about the subject but there is one big one that I want to start a fresh blog with, and that is “How significant are the casualties that arise when no other people or vehicles are involved?” Nearly all the data behind this report are taken from standard Police Road Traffic Accident (RTA) Reports. An additional set of cyclists end up in A&E after tumbles and collisions with no one else around. I was unable to find the “casualties per billion miles” data for each local authority. But this comparison of percentages cycling looks very interesting. 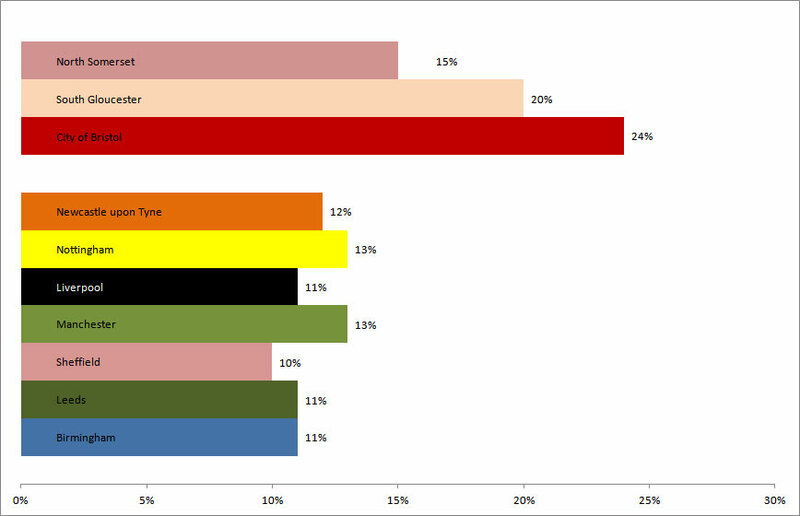 Figure 8 Percentages from population sample surveys in ten local transport authorities in 2011 saying they cycle at least once a month.